Dental Emergency? Contact Your San Diego Emergency Dentist Today! Emergencies can happen anytime. Maybe Grandma takes a fall, or maybe there is an accident on I-5 that blocks traffic for hours. Urgent situations come in all shapes and sizes — they can even happen to your teeth. If you don’t receive prompt care in these circumstances, you could suffer painful or even long-term consequences. Your emergency dentist in San Diego is here to explain what constitutes a dental emergency and what you should do to protect your oral health. In some of these situations, there are things you can do yourself to address the problem before you see your dentist. For example, if one of your teeth gets knocked out, you should gently clean the tooth and place it back in your mouth or store it in a glass of milk to keep it moist. If a crown gets detached, you can place it over your tooth temporarily. However, you should never rely on self-care to address a dental emergency. A trained professional is the only one who will be able to make sure that your oral health will suffer as little long-term damage as possible. If your mouth is in pain but you aren’t sure if you need to receive care, call your dentist in San Diego. The friendly staff in the office will be able to give you advice on what to do. They’re familiar with dental emergencies and may tell you if you are going through one. If you have an avulsed tooth, your dentist might be able to reattach it. Your dentist can reattach your crown or provide you with a new one so a damaged or weakened tooth doesn’t remain vulnerable. 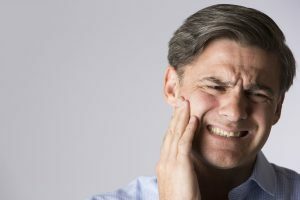 You can learn about the reasons behind why your tooth is hurting so bad, and you can receive treatment for the problem. You could learn how to prevent similar situations in the future. For example, if you suffered an oral injury while you were playing sports, your dentist may recommend that you wear a custom athletic mouth guard. If for some reason you’re unable to reach your dentist, you might have to visit your local emergency room, especially in the case of a jaw injury. Dental emergencies are a big deal! Learn to recognize them so you can handle the situation properly and receive prompt treatment. Dr. Friedman has been practicing dentistry for decades, and he has the experience needed to address oral health emergencies. If you have questions or need to receive urgent treatment, contact our office at 858-547-0070.